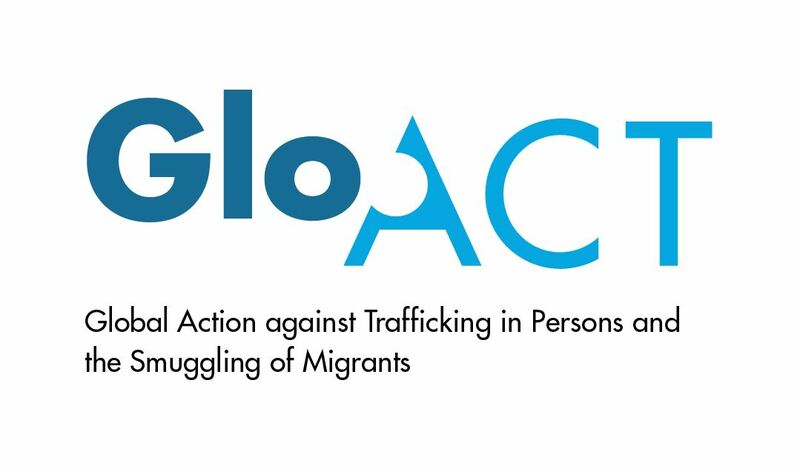 The Global Action to Prevent and Address Trafficking in Persons and the Smuggling of Migrants is a four-year (2015-2019) joint initiative by the European Union and the United Nations Office on Drugs and Crime (UNODC) being implemented in partnership with the International Organization for Migration (IOM) and the United Nations Children’s Fund (UNICEF). The programme forms part of a joint response to trafficking in persons and the smuggling of migrants and it is expected to be delivered in 13 strategically selected countries across Africa, Asia, Eastern Europe and Latin America. A focus will be placed on assistance to governmental authorities, civil society organizations, victims of trafficking and smuggled migrants. More specifically, IOM will focus on objectives 5, by developing and implementing protection and assistance frameworks that uphold the rights of trafficked, smuggled migrants, and other migrants in vulnerable situations, as well as by improving vulnerable migrants’ access to protective and assistance services, and by improving the capacity of protection actors to deliver high-quality services. These activities will be implemented by IOM in six select beneficiary countries, namely Belarus, Brazil, Lao PDR, Mali, Morocco and South Africa. At the global level, IOM will develop standards, guidance materials, and training curricula on assistance to vulnerable migrants and associated topics. By the end of the project, it is expected that Governments and civil society partners in the target countries will have the skills and mechanisms in place to identify and screen migrants for vulnerabilities, including adult and children victims of trafficking and smuggled migrants, and to refer them to the relevant service providers for protection and assistance, in line with international standards. Further, the project aims to ensure that all protection actors will have access to improved and elaborated global standards and resources on assistance to vulnerable migrants.